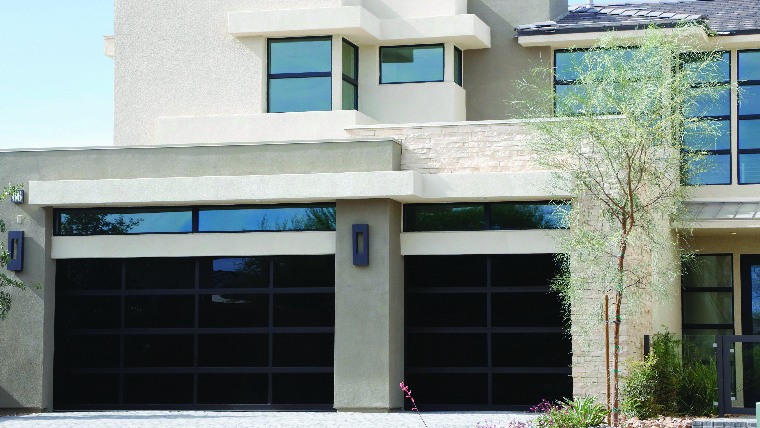 The Elite Collection of garage doors range from beautiful, carriage-house style doors to modern all-glass. These doors are hand-crafted from heavy-duty, extruded aluminum, copper, and Hi-tinsel steel . These doors are long-lasting and low-maintenance. With a variety of designs available, you’re sure to find a door that will accent your home. This contemporary model is non-insulated, crafted from heavy-duty, extruded aluminum and includes one of Martin’s powder coated finishes. This beautiful door is available with your choice of solid aluminum, acrylic, tempered glass, insulated glass or white laminate glass inserts. This contemporary model is insulated, crafted from heavy-duty, extruded aluminum and includes one of Martin’s powder coated finishes. The top section of this beautiful door is available with your choice of solid aluminum, acrylic, tempered glass, insulated glass or white laminate glass inserts. This handcrafted model is insulated with a steel back and furnished from beautiful composite wood cladding, combined with Martin’s excellent steel base door. 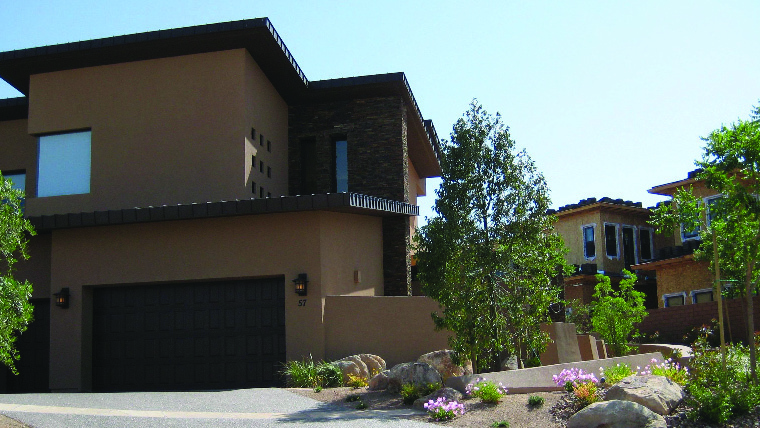 Select the composite cladding and overlay material: Clear Cypress or Pecky Cypress. 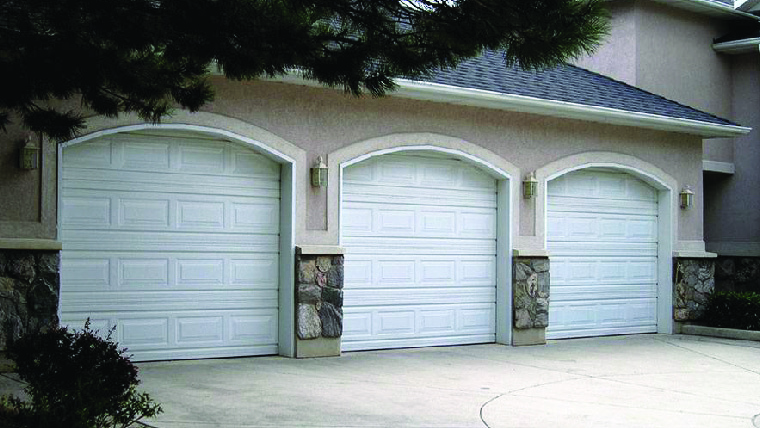 This beautiful garage door includes your choice of finishes: Walnut, Dark, Light, White or Primed. This stylish and modern model is comprised of a pure copper front and your choice of construction styles (i2 Copper + R8 Insulation + Steel or i3 Copper + R14 Insulation + Steel). Your choice of Martin’s designer window options are also available to add to this model. Martin’s beautiful copper door also includes a hardware kit with a white powder coated finish. Tradition meets beauty and quality. 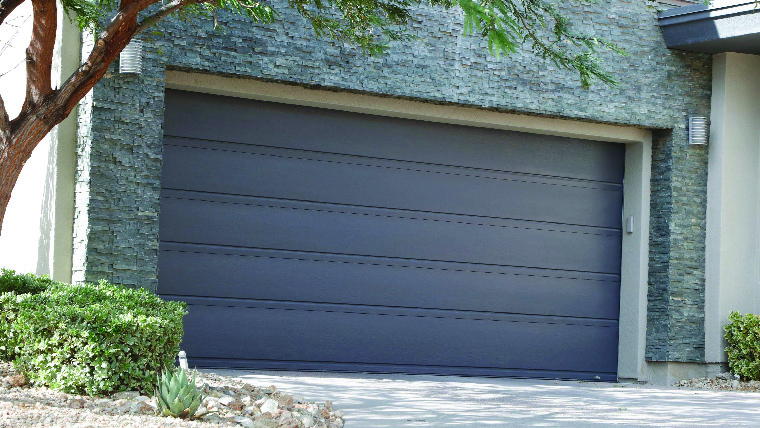 Constructed from high-quality steel, the Cornerstone model is the timeless garage door made to complete any home. 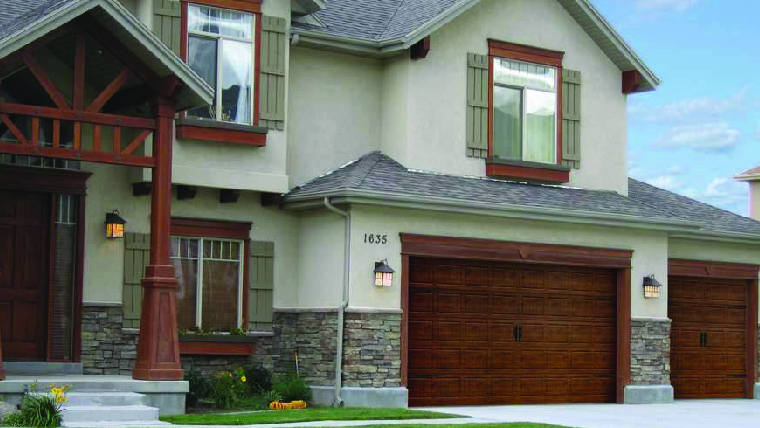 This low-maintenance door can be customized to add value and individuality. This classically beautiful model is available in 24 gauge steel, with one of Martin’s five standard colors or powder coated finishes and with your choice of construction styles (i1 Non-Insulated, i3 Steel + R8 Insulation + Steel, i4 Steel + R14 Insulation + Steel). Your choice of Martin’s designer window options are also available to add to this model. This elegant 5-section (7’ high) model is available in 24 gauge steel, White Mist, Light Almond, Desert Taupe or Dark Brown colors and with your choice of construction styles (i1 Non-Insulated, i3 Steel + R8 Insulation + Steel, i4 Steel + R14 Insulation + Steel). Your choice of Martin’s designer window options are also available to add to this model. 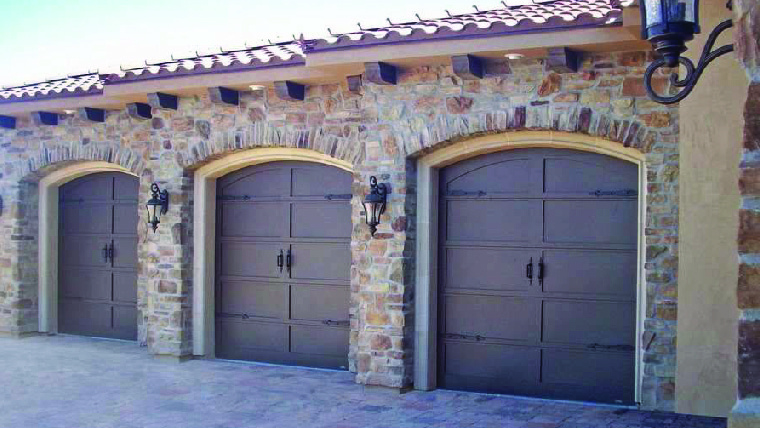 Martin’s Standard doors are reliable, charming garage doors that will stand the test of time. 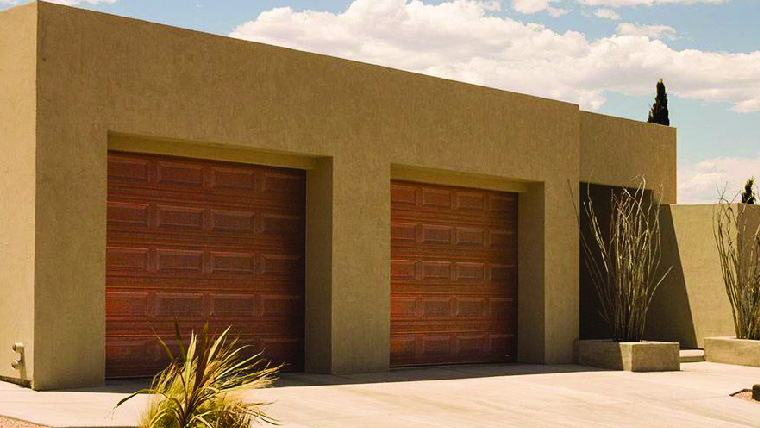 With our variety of colors, windows and panel styles, you’re sure to find a garage doors that will perfectly complement your home. Lasting beauty with a value price tag. This contemporary model comes with Martin’s uniquely beautiful, 24 gauge Walnut Woodgrain steel and with your choice of construction styles (i3 Steel + R8 Insulation + Steel or i4 Steel + R14 Insulation + Steel). Your choice of Martin’s designer window options are also available to add to this model. We offer openers in big name brands, such as Liftmaster, Guardian, Sommer and Marantec.